Dimensions: 2.625 x 2.6265 x 1.25. We’re crazy in love with this playful mold! 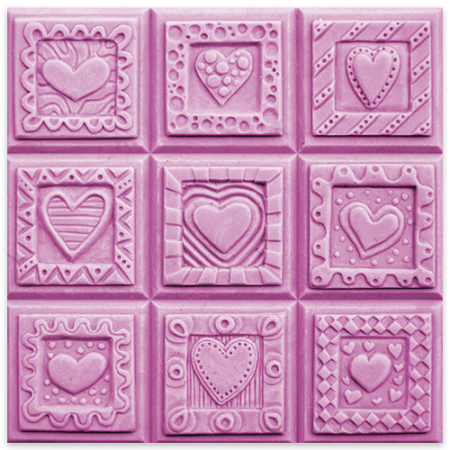 Our Tray Crazy Hearts soap mold features nine contemporary, playful heart designs, making it perfect for Valentine’s Day, weddings, or anywhere you need some affection.